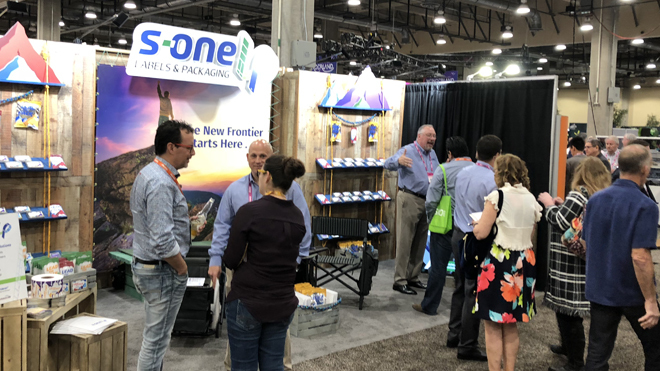 Dscoop 2018 in Dallas was filled with inspiring moments throughout the 4-day conference, and we couldn’t have been happier to have our first major outing as S-OneLP during the event. 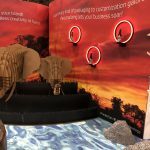 Dscoop lived up to its promise of “Unleashing Print,” with many awesome print displays, conversations and industry-changing ideas that all came together inside the Gaylord Texan Conference Center. 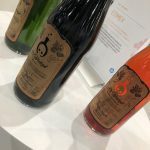 When we weren’t talking labels and packaging supplies in our booth, we couldn’t help but be impressed with the innovation going on all around us. 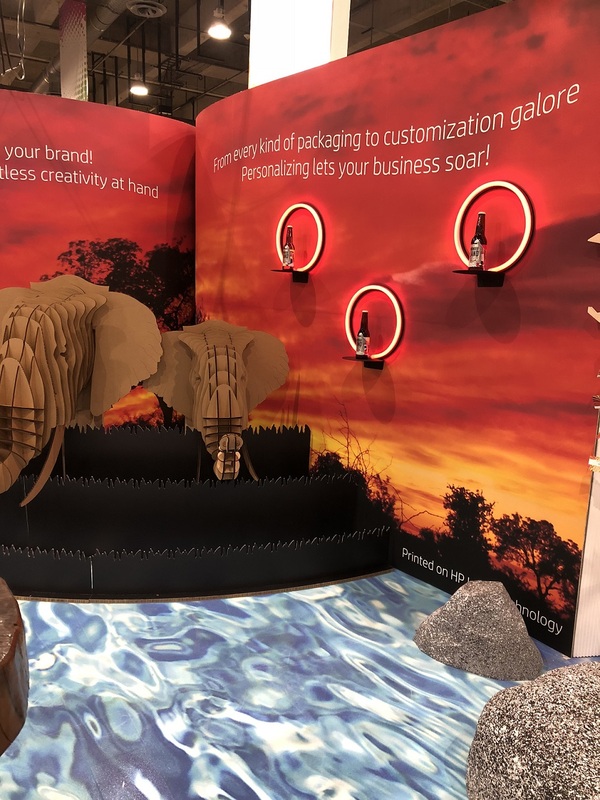 HP set up four areas, Storyland, Inkland, Brandland and Thinkland, where they showed off what seemed like endless creative ideas, but also the power of personalizing with print and the HP Inkspiration Awards. 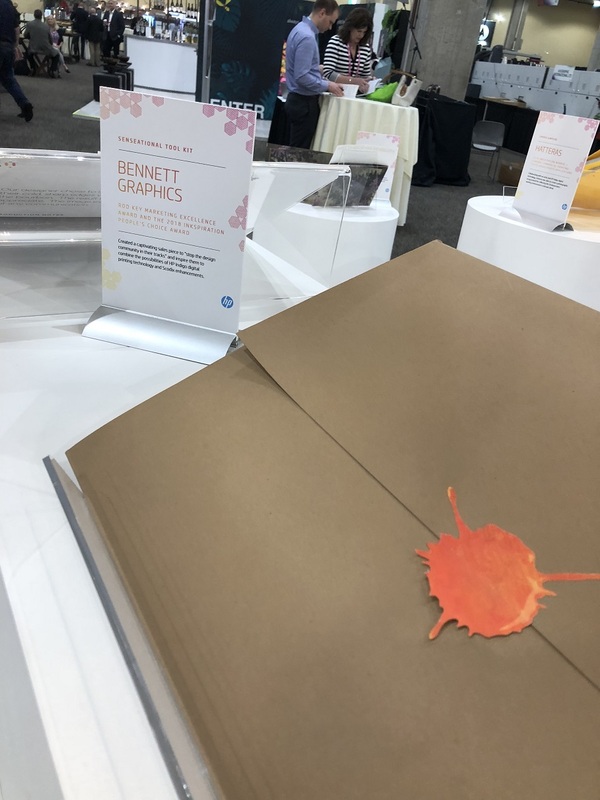 On display was the winning entry by one of our customers, Bennett Graphics, pairing HP Indigo 6800 and 10000 technology and Scodix Ultra Pro Digital Press (more on Bennett later). 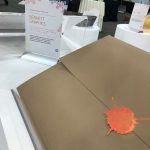 We were also amazed by the new technology and concepts in the HP booth, which included watching Toray Plastics films run on the HP Indigo 20000, and the invisible security inks from one of our partners, VerifyMe. 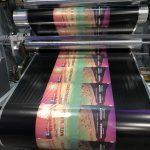 Adding additional layers of security is becoming an important piece of the package printing puzzle, especially in pharmaceutic and cosmetic markets. Expect to hear much more about the possibilities of print and security in the near future! Check out how a special light is shown on the invisible ink to display the security code. 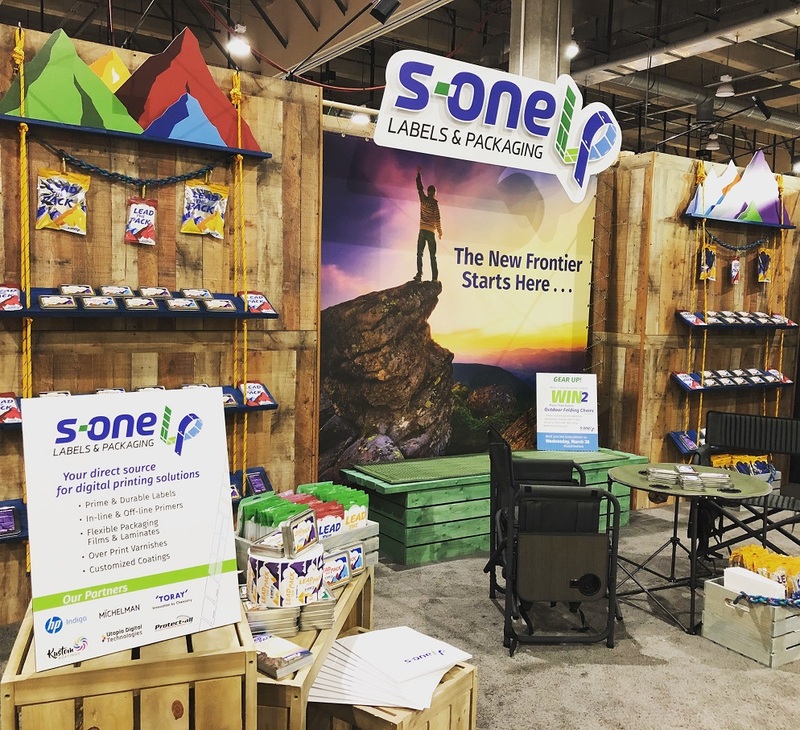 Back in our booth, we explained S-OneLP’s role as the only channel partner focused solely on full solutions for digital label and flexible packaging printers. We hope we inspired our booth visitors to “Lead the Pack” into this new frontier. Our booth took on that adventurous theme with a camp-out feel that even included a campfire. 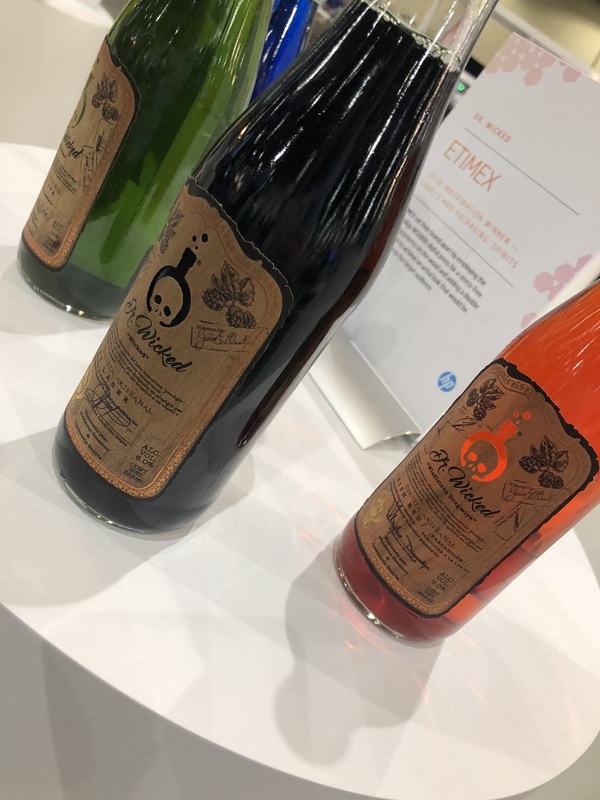 Our next-door neighbors and partner, Michelman, shared some exciting news during Dscoop, which included the launch of DigiPrime® 022, DigiGuard® 222 and DigiGuard® 901 additive, solutions as part of the launch of the HP Indigo Pack Ready for Labels. 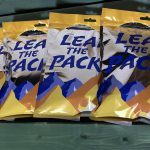 These products are geared for “durable labels,” such as automotive oils, refrigerated and sterilized goods, and cleaning and bathroom products, and will be available through S-OneLP. 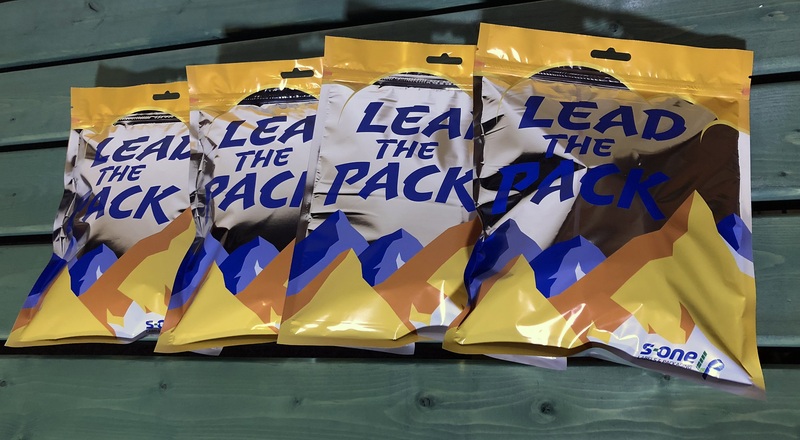 Our VP Ralph Giammarco and Global Director of Sales, Tom Hauenstein, gave a presentation in one of the break-out sessions titled, Lead the Pack, How to expand your label printing business into flexible packaging printing. We were thrilled at the turn-out — standing room only! 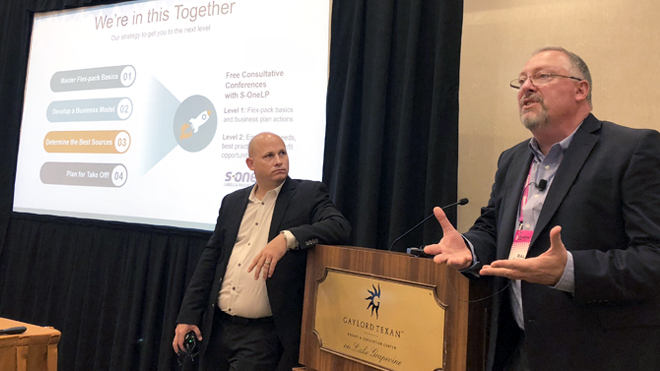 The Q&A session sparked great conversations about how we can all work together to take digital label and packaging printing to the next level. We are excited to see not only how this ever-evolving market continues to grow, but also how the Dscoop community continues to support it. 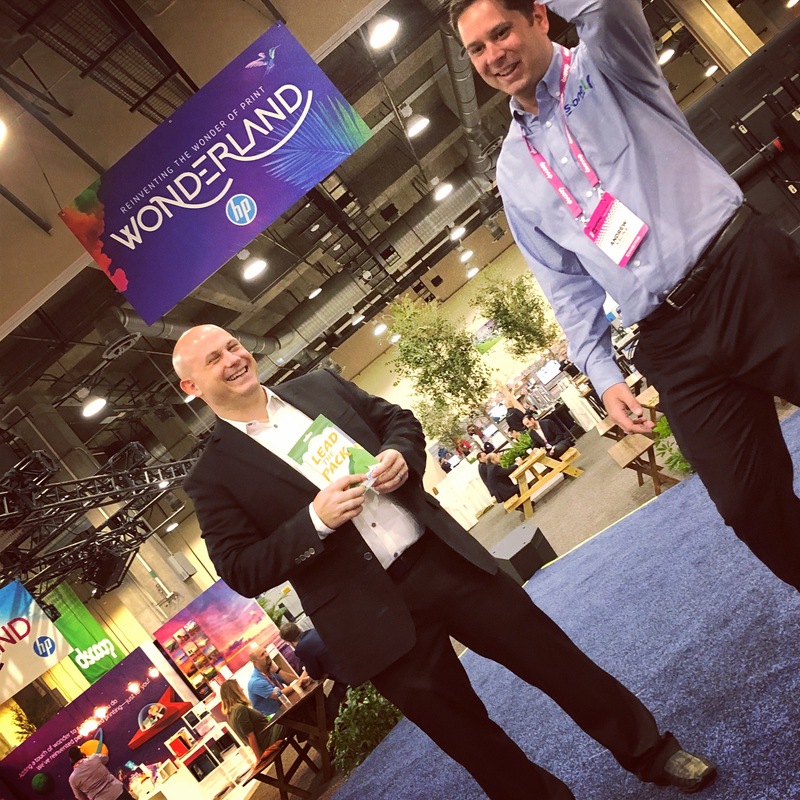 We’ll see you at Dscoop 2019 in Orlando! 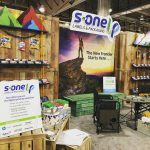 Welcome to S-One Labels & Packaging! We are your direct source for digital solutions in label and flexible packaging printing. Originally a division within LexJet, S-OneLP is the No. 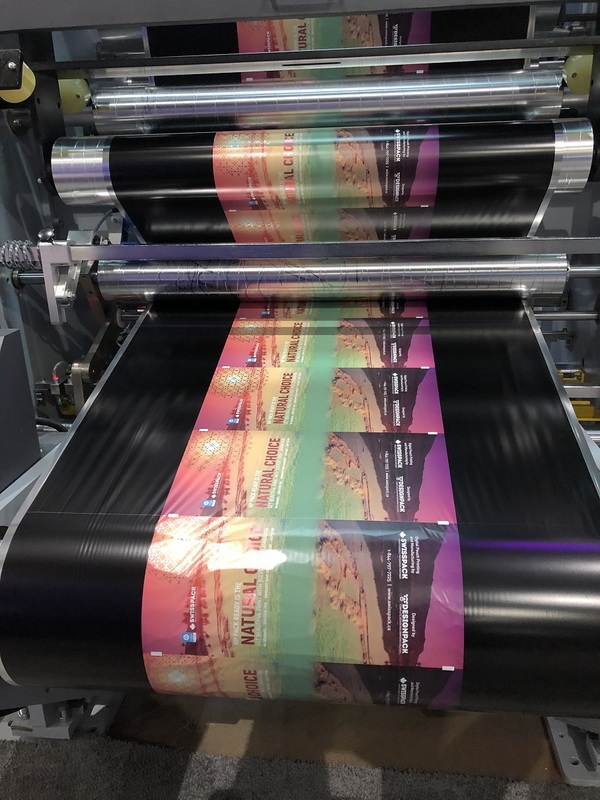 1 provider of Michelman in-line and off-line primers in the U.S. and Canada, and we’re now providing an expanded portfolio of best-in-class and cutting-edge products for digitally printing labels and flexible packaging on HP Indigo presses. We are the first digital-dedicated supply and support team in the fast-growing label and flex-pack printing industry! Questions? Give our team a call at 941-256-7900 or email us at labelsandpackaging@sone.com.